If you need help in designing your land or garden and apply the correct ecological principles, or if you think you might consider a career in professional permaculture design, then the Advanced Permaculture Design Course is for you. This course will be offered for the first time in Lebanon over the course of 1 week, with a professional instructor from the US. Participants will acquire the skills and foresight needed to assess, concept and design a property into a perpetual harvest system. The sessions will take you through the entire professional design process. It is an intense experience that combines skill building, design progression, studying ecological models, and the science to support good design. c. Development of technical drawing skills for professional presentation on paper or computer. d. Understanding of ecological design practices to raise the carrying capacity or heal damaged land. b. Create an assessment database for regions of Lebanon for all designers to access. c. Develop a plant list of common and preferred plants for needed ecological functions and human uses. d. Develop a standard of expectations for professional design and delivery by new and existing designers. People who have earned their Permaculture Design Certificate (PDC), or who possess advanced landscape design skills and are familiar with permaculture or bio-mimicry. (includes training fees, light snacks, and some of the material*). Creator of the SouthWoods permaculture design process, Daniel Halsey is a certified permaculture designer and teacher for multiple academic institutions and organizations. Daniel is a graduate of the University of Minnesota with a Bachelor of Science degree in Temperate Climate Polyculture Design and a Masters of Professional Studies in Horticulture. 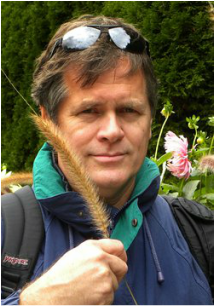 His design work in agro-ecosystems and edible forest gardens began with an introduction to polyculture design in 2003. Polyculture plant systems are patterned after forest ecology where each plant contributes to the health of the ecological niche and soil community. Dan travels nationally, hired to design, instruct, and consult for planning of intentional communities, agro-ecosystems, and broad-acre restoration. Dan and Ginny live on a twenty-five acre wetland savannah called SouthWoods, in Prior Lake, where they manage self-sustaining forest gardens of fruiting trees, shrubs and nut crops. SouthWoods incorporates permaculture principals in all aspects of living.